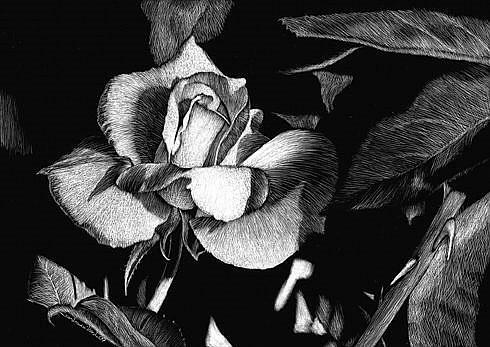 This is an original scratchboard artwork created with many tiny scratches. The contrast between the ink and the clay makes the art jump out and the photographs simply do not do it justice. Scratchboard (or scraperboard) is a technique where drawings are created using sharp knives and tools for etching into a thin layer of white clay that is coated with black India ink.